Appearances, Demonstrations, Guided Tours and Lee Bros. Dinner Events – The Lee Bros.
att and Ted give lectures, host events, perform cooking demonstrations and teach cooking classes, and also can be booked to emcee awards events, benefits and symposia. Through their collaboration with Duvall Events, Charleston’s largest catering firm, they can produce bespoke meals for literally any size group, any time, in a variety of attractive settings in the Charleston area and beyond. They can tailor an appearance to suit your needs and come highly recommended. To book the Lee Bros. please contact their office by telephone at 843.720.8890. Hotbox takes you from the frying pan into the fire. 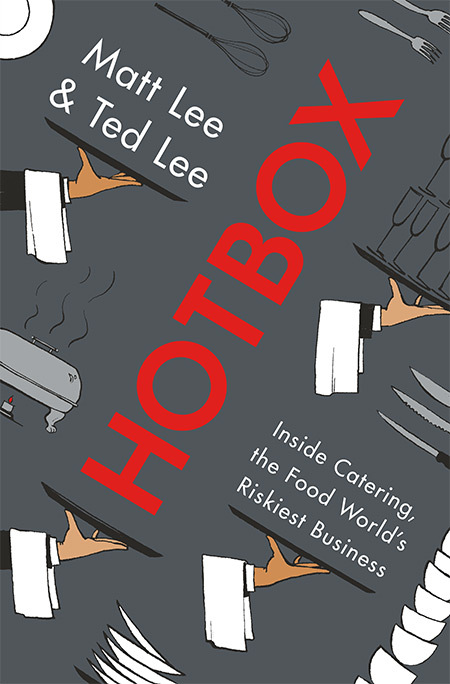 The cutthroat world of catered events come to life in this compelling book by the Lee Brothers.